LOW shipping on all orders! If you love the pungent, musky aroma and deep earthy taste of white truffles, you’ll love this oil! 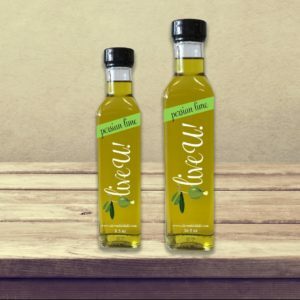 Enjoy a delicious oil while lowering your risk of heart disease and stroke thanks to healthy fatty acids. The flavor of truffles is a perfect way to enrich any dish with an incredible flavor and aroma. All OliveU! oils and balsamics are made from the best, most fresh ingredients we can find. Our truffle oil is both deeply infused with flavor and a light oil that works well for almost everything. Add this oil to everything from fish, red meat, eggs, pasta, or rice for a decadent and heady flavor that enriches every dish it touches! You won’t be able to believe how much this oil can perk up the taste of any food, so order a bottle from us today to experience what a sensation truffle olive oil can be! Sold in 16.9oz and 8.5oz bottles. Our company is dedicated to providing the very best quality products and service. Happy customers is our number one goal!